Denver injury attorney Janet Frickey wants to do the right thing. 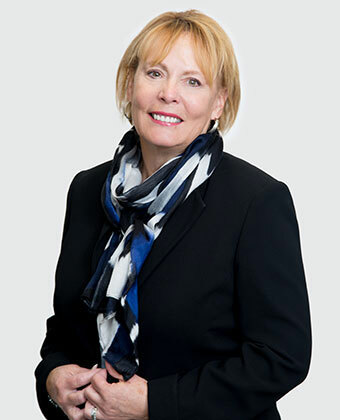 An impassioned litigator and client advocate for more than 30 years, Ms. Frickey is the owner and managing attorney of The Frickey Law Firm which specializes in workers’ compensation and personal injury. A graduate of University of Colorado and Washburn University School of Law, Ms. Frickey is considered an expert in the field of workers’ compensation. 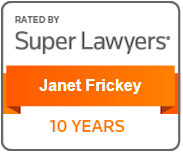 She has authored important published works, led workshops and classes, and has been the recipient of numerous awards, including being honored yearly as a “Colorado Super Lawyer” since 2005 and one of the Top 50 Women Colorado Super Lawyers. 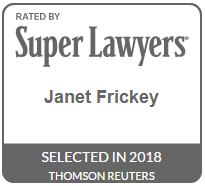 Ms. Frickey is highly regarded by her peers for her ethical standards and professional achievements, with the highest rating available from Martindale-Hubbell and Avvo.